Instagram gets a bad rap for being the place we spend our time procrastinating and comparing our lives to others. We never talk about how many ideas were first ignited and seen through to fruition on the app. One way to use Instagram when having a work-related low moment is to look for creative inspiration. There’s nothing quite like the rush that comes from new motivation. 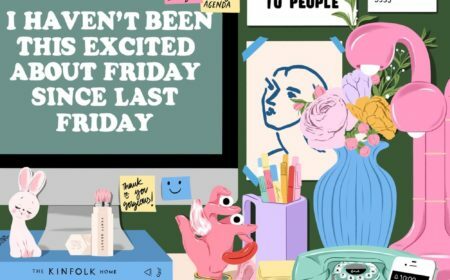 We’ve compiled a list of some of our favourite accounts that give us just the right amount of visual and mental excitement to get our creative juices flowing. Remember as children when we played with food and our mothers would disapprove? This is the Instagram page we were trying to birth, if only mama knew! Gretchen Röehrs takes playing with food to the next level, she shows what happens when food, fashion and art collide. Her Instagram page makes us both physically and creatively hungry, whilst promoting healthy eating in a way that doesn’t shame us for our food choices. Just a lil reminder that you can do some good this #GivingTuesday and get a print from my shop all in one swoop. Everything in the Print Shop is not only 20% off, but also sends every penny of proceeds to @plannedparenthood with code "PlannedParenthood" at checkout. And a major, heartfelt thank you to everyone who has purchased a print so far — I'm working hard to get them all perfectly packed and shipped. We're getting close to donating $3,000, all thanks to you. Not only is Canva a life-saving design tool, but their Instagram page is what amateur graphic design dreams are made of. The page is as design-centred as expected, yet with the added bonus of typeface inspiration and hex codes of each colour. No need to waste time trying to figure out font names and colour palettes, a simple scroll through their page and you’re good to go. On the surface, Casper is a company that sells mattresses and sleeping tools, how boring right?! Wrong. Their Instagram page is anything but boring, they’re an exciting marketing miracle. “Casper is the latest and arguably most successful in a class of upstarts turning mundane, unloved consumer products like beds, toothbrushes, suitcases, water bottles and vitamins into something covetable and cool.” They promote products in a way that makes you want to buy them immediately. A 5-minute scroll through their feed and the belief that anything is possible will be restored, including selling something that has been sold for many years, in a brand-new way. Who doesn’t need such motivation on a daily basis? Hiroaki Fukuda photographs in a way that makes you want to travel the world, to actually see it and not just capture it (for Instagram). His page doesn’t make us want to quit our jobs, but gives the creative inspiration to want to give your best at your job (If not for anything else, for the chance to earn more and afford to travel more.) His pictures are the kind that end up on a fashion designers moodboard for a new collection because of his vibrant use of colour and lighting. 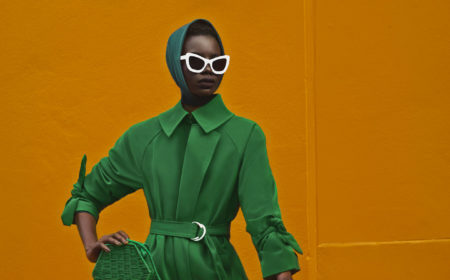 He has worked with brands such as Nike, Christian Dior and Hermes, taking some highly rated pictures which is an added inspiration bonus for fashion inclined creatives. There’s something about looking at clean, gorgeous spaces that helps clear up mental funk. Nordik Space is a curated page of some of the best living spaces, featuring hand-selected interior goods ready for purchase. This page is like our favourite Pinterest board coming alive on Instagram. Like their bio suggests, this page is made for and by Black millennial women, celebrating the beauty, strength and power in our community. It is not one of those pages where colloquialism seems forced and feminism seems solely for profit. It’s like a virtual girl gang that offers a pick-me-up when your creative inspiration is lacking. With an array of motivational and downright funny quotes. L8 Bloomers fosters REAL conversations about growing up and being an adult, exploring different facets of life without being judgemental. This page helps with the right amount of emotional and mental unpacking needed to allow your motivation rise and creativity flow. “Instagram is a place where visual expression for business inspires visible action from people around the world.” Much like the app itself, this page is a home for inspiration but specifically for how businesses use Instagram to tell their business story. 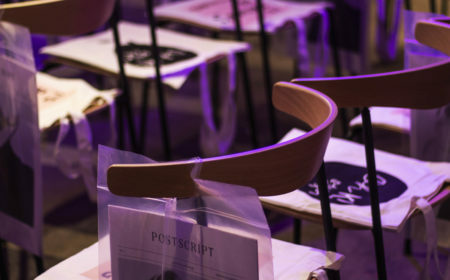 By following this page, you discover a new business doing something amazing every day, topping up on your creative inspiration reservoir and you learn the basics of Instagram marketing through real-life businesses. Two pieces of creative inspiration for the price of one! SGS is a great mix of Black Girl Magic inspiration and “Sis get up and work!” SGS pushes you to live your best possible life and do things that you wouldn’t ordinarily do with motivational quotes that are less preachy and more practical, whilst featuring women who have killed it (and are killing it) in their different paths. One look at their Instagram page and you want to be more disciplined whilst thoroughly enjoying the work you do. 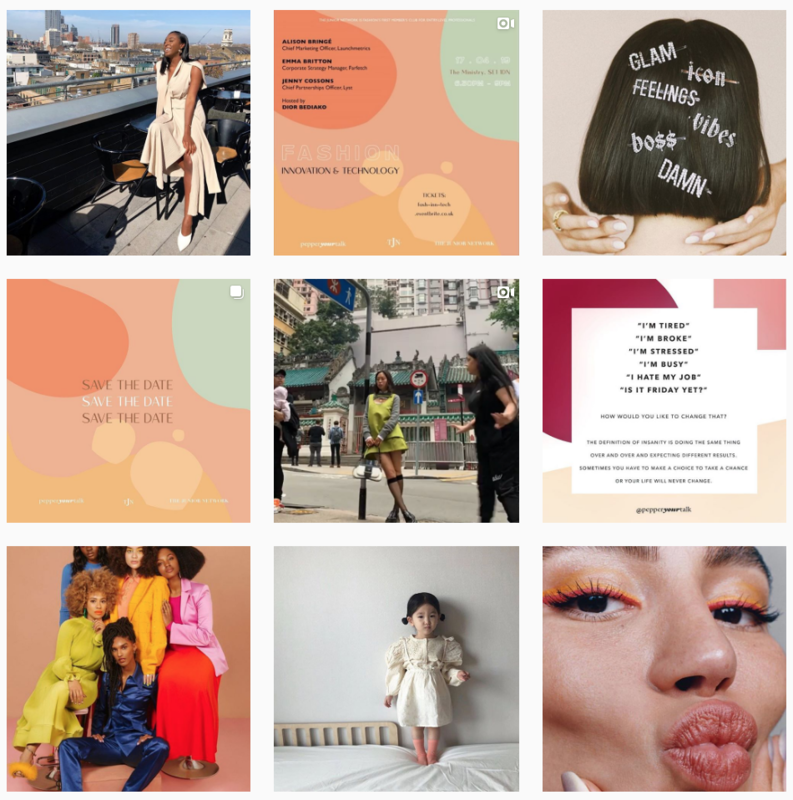 Not to toot our own horn but our Instagram page is like your fashion best friend, who knows about key fashion events, introduces you to fashion industry insiders you had no prior knowledge of, whilst giving you career, style and editorial inspiration. Who doesn’t want a best friend like that? Excuse us if we’re going in a little heavy on 2019 planning but also, sorry not sorry! 〰 Which numbers are top of your priority list?